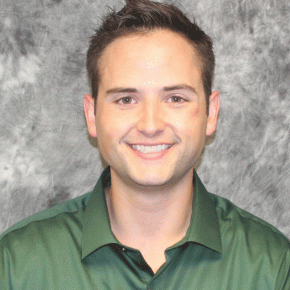 Kyle Shondell, who comes from a strong line of volleyball coaches, is the newest Forester coach. Learn a bit more about Shondell and his family, who is known for bringing volleyball to the Midwest. Kyle Shondell may be a new face in the university’s line of head coaches, but he is no novice to coaching the game of volleyball. A 2012 graduate of Purdue University, Shondell comes from one of the most well-known volleyball families in the U.S. His grandfather, Don, began both the women’s and men’s volleyball teams at Ball State University, where he accumulated the second-most NCAA wins as the men’s head coach. He is often credited with bringing the sport to the Midwest. Shondell’s father, Dave, is the current head coach of women’s volleyball at Purdue, where he is starting his thirteenth season. The Shondell family has also been integral in the Munciana Volleyball Club, one of the most elite programs. When Kyle was attending Purdue as a student, he played on the men’s club team for two years, but he then decided to redirect his focus entirely on coaching. During his five years as a Boilermaker, he worked under his father as the team’s senior manager – an experience that solidified his resolve to coach. Before coming to Huntington, Shondell served as head coach at Rockey Valley College, leading his team to a number eight final-season ranking in NJCAA Division III. He also worked as an assistant at Western Illinois University and Chicago State University, which are both NCAA Division I programs. Shondell’s move back to Indiana was due to a desire to be closer to family. He said he was drawn to Huntington University by its commitment to prioritizing faith over everything else. Shondell said the sense of welcome is so palpable, it nearly moved prospective student athletes to tears as he recruited his first class last spring. “I’ve been on big campuses, I’ve been on small campuses, but I’ve never felt more at home than I do here,” he said. He hopes to encourage his players to grow off the court by focusing on excellence in all aspects of their lives as university student athletes – spiritually, academically and athletically. “I want them to be the hardest working kids on campus [and] the most polite kids on campus,” Shondell said. The Foresters finished ninth in the 2014 Crossroads League standings. Shondell said he does not want to separate his current team to years past. Instead, he wants to “reestablish” a winning mentality. “There’s no reason we can’t be a consistent top-three or four finisher in the conference,” Shondell said.